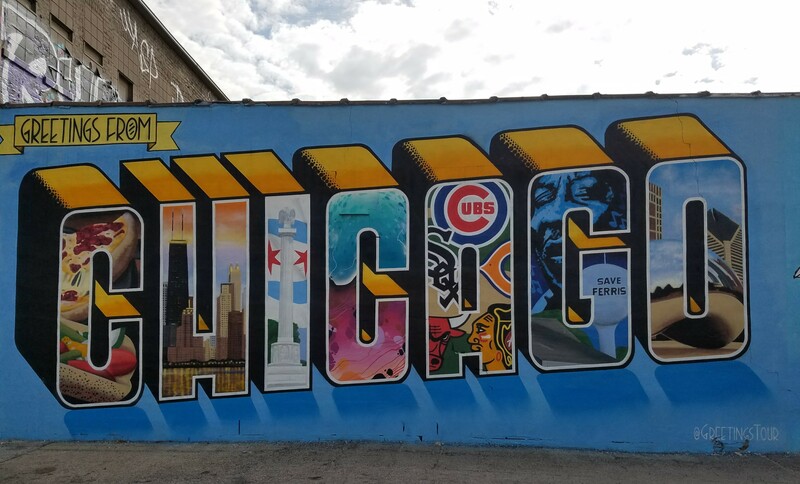 I’m happy to announce my partnership with Runstreet – During 2017, we’re going to be doing a series of 3-4 mile running tours to see the best street art in Chicago! Our first run will be in Logan Square on April 15th. All levels of runners are welcome. We run at a 10-minute mile pace with stops for photos and also have a photo contest. Special thanks to OrangeTheory Fitness Logan Square for providing us with a Bag Drop location. No age requirements, just must be able to run 3.5 miles at a relaxed pace. We will have a bag drop at the event. We recommend bringing your phone to take photos and enter the photo contest. Driving: Take 90 to the Fullerton Street exit. Head West on Fullerton to Milwaukee. Turn left (Northeast) on Milwaukee and OrangeTheory will be two blocks down on the left. OrangeTheory has it’s a parking lot with ample parking available. Train: Take the blue line to the California station. Head 1 block Northeast on Milwaukee and OrangeTheory will be on the left-hand side. Bus: Take Bus #56 to the Milwaukee and California stop. Head 1 block Northeast on Milwaukee and OrangeTheory will be on the left-hand side. View the event page on Runstreet.com for additional info; email tomleddy@gmail.com or marnie@runstreet.com.